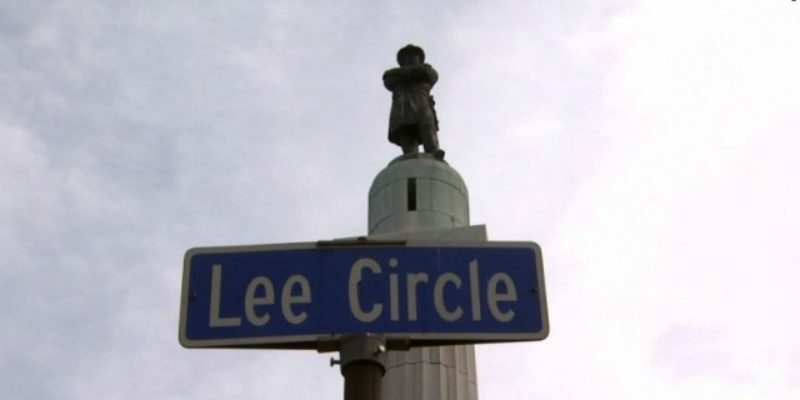 The New Orleans City Council voted 6-1 today to remove four historical monuments in the city: Robert E Lee Circle, PGT Beauregard’s City Park statue, the Jefferson Davis monument and the Liberty Place monument. Mayor Mitch Landrieu first requested the proposal back in June after the AME Charleson Church shooting. At the time, Landrieu said he wanted to hold a “60-day discussion period” so that residents could converse about the four monuments on the chopping block. Though, the Hayride exclusively reported how the Landrieu administration knew that they had the votes to remove all four monuments before even proposing the idea. Also, the Mayor’s administration apparently has been looking into warehouse spaces and construction companies to remove the monuments since August, even though the “60-day discussion period” was not over. Councilwoman Latoya Cantrell and Councilwoman Stacy Head, however, felt differently. Cantrell said she felt “disrespected” by Landrieu for proposing the idea with no input from residents or the City Council. Councilman Jason Williams, though, said that other council-members should not be “too upset” with the Landrieu administration for bringing up the issue. The Hayride exclusively reported months ago that the anonymous donor was Democrat-funder John Cummings, however Cummings denied being the anonymous donor. Last month, Head confirmed exclusive Hayride reports which found that the Landrieu administration had been looking into construction companies and warehouse spaces for months now. Cantrell also confirmed last week that she was actually against removal of monuments because she felt as though the Landrieu administration had rammed the process through the city, taking no input from historians or residents. Hayride exclusive reports exposed months ago how the Landrieu administration may have thrown thousands of dollars at a few of the monuments in order to make a money-trail to give the illusion that taxpayers are burdened by the upkeep of the monuments. However, the Monumental Task Commission (MTC) has kept up all monuments in the city with no charge to the taxpayers for over a decade now. Officials with the MTC said the city knows this, but still spent thousands of dollars on upkeep over the last few months, though they have never done that in the past. Additionally, the New Orleans Police Department (NOPD) Chief Michael Harrison sent a letter months ago claiming that the four monuments caused ‘unrest’ for the city and invoked violence. However, in an exclusive Hayride investigation found that ‘unrest’ around the monuments only came after the Landrieu administration requested the monuments be removed. The monuments are expected to be stored in a warehouse in the city. It is unclear, still, where that money is coming from to pay for the storage space. It’s also unclear as to what will replace the four monuments, specifically Lee Circle which is at the heart of the city’s Central Business District (CBD). 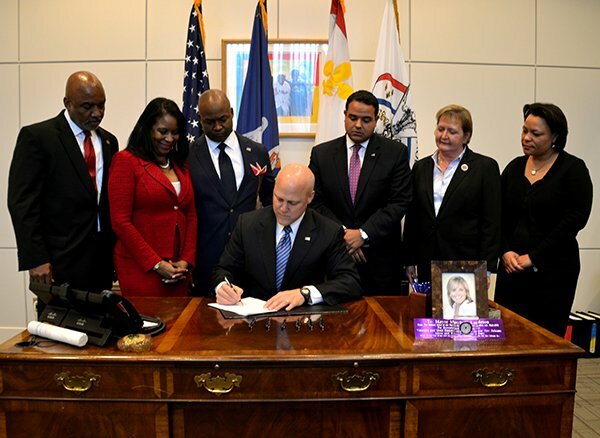 Update: Here’s a photo Mayor Mitch Landrieu tweeted out showing him signing the ordinance to officially remove four historical monuments in the city. Councilwoman Stacy Head, the lone ‘no’ vote on removal is the only New Orleans City Council member not standing beside Landrieu.